Albert Einstein, the renowned physicist, is remembered for his theories on nuclear power, and his revolutionary concept concerning nature of light. Nonetheless, his innovative ideas were misunderstood and he was regularly criticized for his involvement in politics as well as social issues. He has made significant contributions to the field of mathematics, physics, and science. 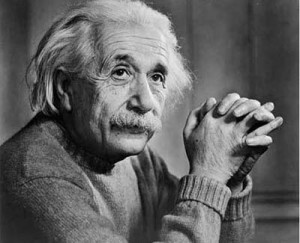 Albert Einstein was born on March 14, 1879, at Ulm, Germany. Six weeks later, he moved to Munich with his family where he later started his schooling at Luitpold Gymnasium. Later, his family moved to Milan, Italy, and Albert continued his schooling in Switzerland. The theory of nuclear energy is based upon the idea that atomic nuclei are created of neutrons and protons. Usually, the mass of the nucleus is smaller than the mass of all the protons and neutrons together. This disparity is known as mass defect. According to Einstein’s Theory of Relativity, which he completed in 1915, there is a similarity between energy and mass. This means that both neutrons and protons have a lot of energy when split up. This energy is the same as the mass defect. According to Einstein, the mass defect is transformed into kinetic energy as atoms are split. According to his theory, energy must be added to the nucleus in order to split it. You can therefore calculate a stability of nucleus by mass defect. The stable nucleus is one that you cannot easily split. The energy comes from binding the energy that holds the subatomic particles together. It is similar to the energy that is stored in chemical bonds. While Einstein was remembered for his contributions to physics, he also made contributions in mathematics. He contributed several equations to calculus and geometry, ten of which are called the Einstein Field Equations. He first published these equations in 1915. One of these equations demonstrates how stress-energy inflicts curvature of space-time. During the early part of the 20th century, Einstein became internationally renowned. He received several awards in medicine, science, and philosophy from numerous universities across the world. His tour to any corner of the world became the national event; reporters followed him everywhere he went. Though regretting his public life, Albert capitalized on his popularity to further his political and social view. Two social movements that received his support were Zionism and pacifism. Now a celebrity, Albert began to voice his opinions about world affairs, supporting various social movements. In 1914, Einstein acquired a German citizenship and lived in Berlin until 1933, when he immigrated to the US when he was appointed a Professor of the Theoretical Physics. He acquired a US citizenship in 1940. After the Second World War, Albert was the leading figure in the World Government Movement and was even offered a high-ranking position in Israel. In 1903, Einstein married Mileva Maric. They had two sons and one daughter. But in 1919, they divorced and he married Elsa Löwenthal in that same year. He died in 1955 at his home in New Jersey.